It is downright frightening that multiple United States Senators, who've supposedly been specifically chosen to sit on this influential committee due to their legal acumen, are saying that a man accused of sexual misconduct more than three decades ago -- with no firsthand corroboration whatsoever, and one accuser who's admitted in the last week that isn't even sure he's the guy -- is responsible for disproving the thin, unsubstantiated claims against him. It's an impossible standard that presents a totally unjust burden of proof in any setting. These Senators would never, ever accept any such thing for themselves, for anyone they love, or for a political ally. But so long as this (frankly un-American) demand, that flies in the face of centuries of Western jurisprudence and the bedrock presumption of innocence, is useful to achieve the "Democratic dream" articulated so candidly by Mr. Fallon, they're going with it. It's disgraceful. It really does seem like some of these bad actors do not care one whit about even feigning interest in discerning the truth. It's all just a means to a desired partisan end, wherein principles and individuals can be embraced and discarded as necessary. 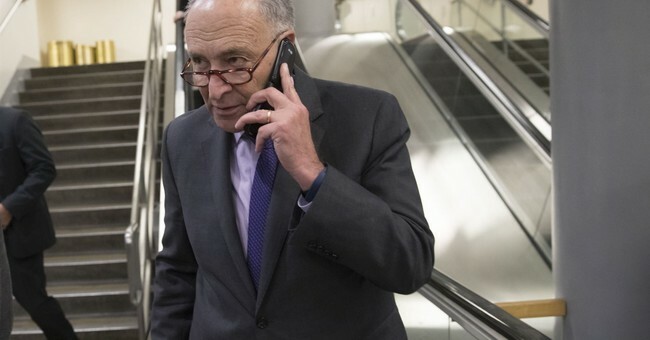 "In the past week and a half, the American people have seen a confusing and chaotic process play out here in the U.S. Senate. They’ve seen uncorroborated, decades-old allegations of wrongdoing pop up in the press at the last minute, just as Judge Brett Kavanaugh’s confirmation process was winding down. They’ve seen an accuser’s request for privacy disregarded and ordinary standards of fairness discarded. They’ve seen a disturbing pattern play out, on two separate occasions already. It goes like this: Number one, our Democratic colleagues on the Judiciary Committee get wind of -- or maybe even go looking for -- a sensitive allegation. Second, they decline to share it with the majority, meaning the committee cannot promptly take appropriate action. And third, they allow the allegation to leak to the press at the last moment...So we have one side that is handling these sensitive matters with dignity, with professionalism...And we have another side that chose to sit on allegations and keep them secret until they were leaked to the press. The same side as the Democratic Leader, who’d already made his mind up mere hours after Judge Kavanaugh was chosen and said -- quote -- ‘I will oppose him with everything I’ve got.’ Well, apparently so." "Evidence matters. Facts matter," McConnell goes on to say. But that's not how some Democrats and left-wing allies are approaching any of this. Jonah Goldberg is right on this point: "Real witch hunts aren’t about evidence, but belief. Inconvenient facts are discarded, and the convenient ones are larded with innuendo and rumor and thrown at the feet of the accused...when proof is subordinated to mere belief, the standard for evidence is reduced to whatever bolsters the belief." To wit, CNN's senior legal analyst -- a dyed-in-the-wool leftist -- casually mentioned on-air this week that he thinks the Yale allegation against Kavanaugh (of which even the accuser isn't entirely confident) has "the ring of truth" to it. Guess what else he evidently felt the same way about? I analyzed this segment on the radio shortly after it aired on Fox News. Kavanaugh didn't merely maintain is innocence over and over again, he also offered up additional falsifiable information about himself while declining to opine on others' motives. This is potentially risky, suggesting that Kavanaugh has either reached a stage of reckless desperation, or he's telling the truth about being wrongly accused.